Porkchop restaurant and bar opened in 2011 on Chicago’s Randolph Street. 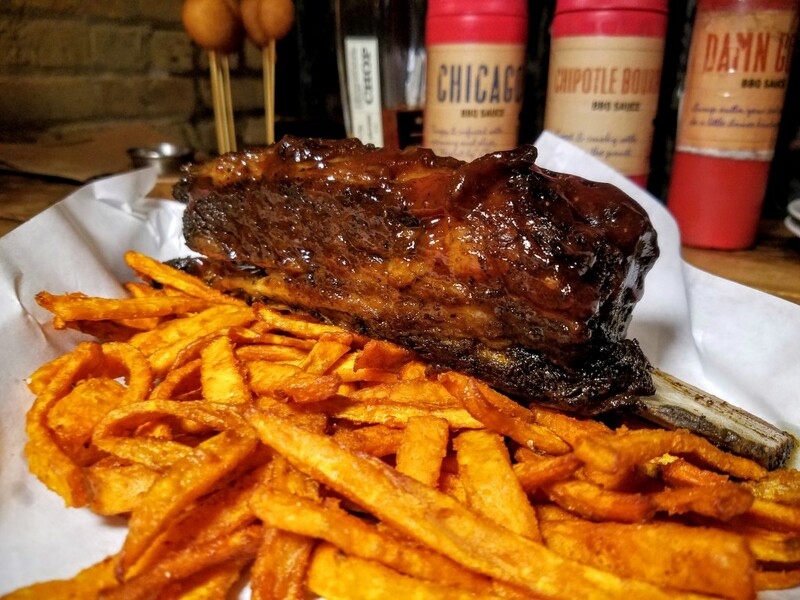 Since then, Porkchop’s founder Jovanis Bouargoub has opened a total of seven Chicago area BBQ restaurants. His most recent location opened in Glenwood last January. But you’re reading a Bourbon blog. What does this BBQ restaurant have to do with Bourbon? A hell of a lot as it turns out. 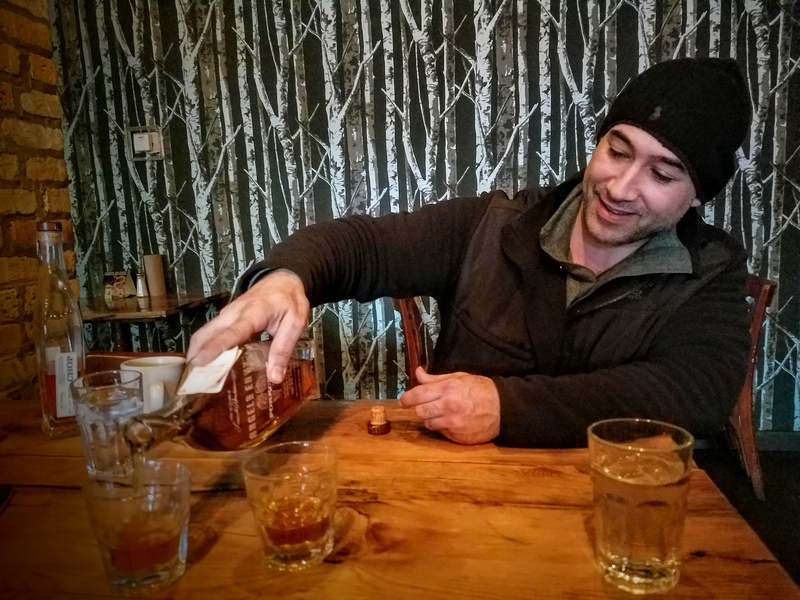 Porkchop pours over 100 whiskeys ranging from scotches and Irish whiskys, to yes Bourbon. 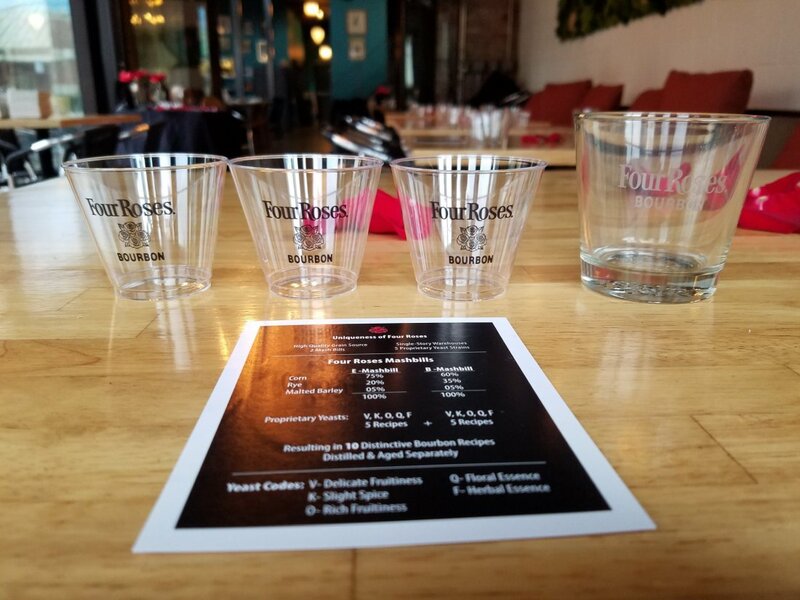 They offer eight different whiskey flights with whiskey as the top selling spirit at their original Randolph location. Last week we sat down with Jovanis at Porkchop on Randolph. We learned why he got into the restaurant business, what drives him, his alcohol of choice, and what’s in store for the future of his dining empire. After moving to Washington DC from Paris, Jovanis worked just about every position in various restaurants. He was a busboy, a server, and a bartender. While in DC he saw winter in Chicago on TV and fell in love with the city. His dream when he moved to Chicago was to open a restaurant on the well known Randolph Street “Restaurant Row”. He says he’s currently living his dream. Running his Randolph Porkchop location and six other restaurants with at least four more in the works over the next year. 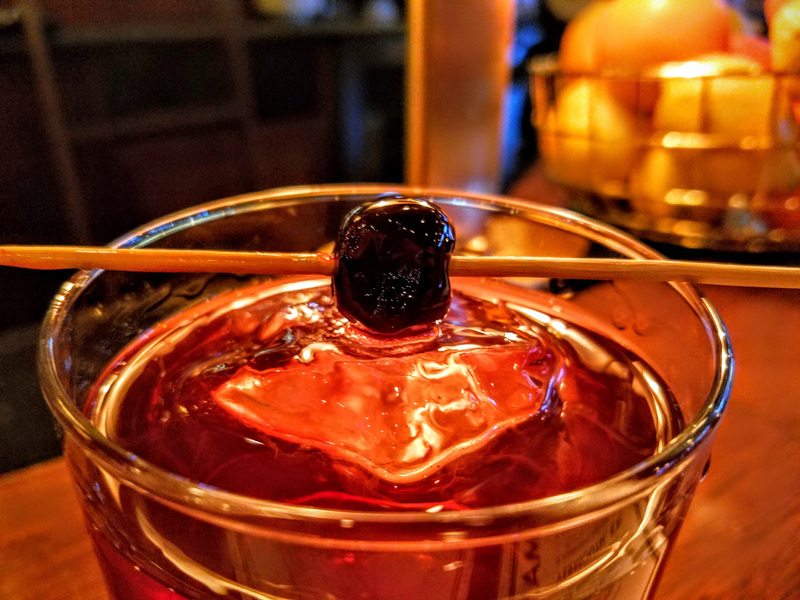 When it comes to whiskey, Jovanis tells us that FEW Spirits launched their original rye whiskey and gin at this very location about four years ago. Accompanying that launch was a collaboration ‘FEW White Whiskey Porkchop Rye’. That was four years ago however and bottles are long gone. Porkchop does carry the current line of FEW Spirits. Today you can find a Porkchop handpick of Angel’s Envy Port Finish Bourbon at the bar. 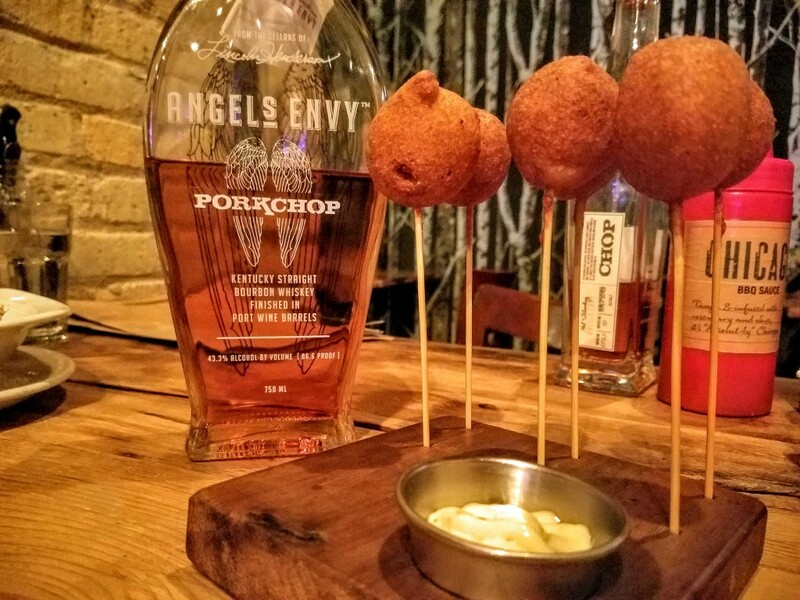 Their South Loop sister steakhouse, Chop, carries a different Angel’s Envy handpick. Jovanis, accompanied by friends, traveled down to Louisville, KY to sample and select these himself. We tasted both and can verify they’ve done well with these picks. They express the familiar sweet smoothness we love about the port finish and have enough variation to make them truly unique. The Angel’s Envy Porkchop pick has a slightly spicy nose with notes of vanilla and caramel. The palate is mostly sweet and incredibly smooth thanks to that port wine finish. Though there is some welcome spice present in the palate. This Bourbon finishes long and smooth with little to no burn. The Angel’s Envy Chop pick is a completely different Bourbon all together. The nose is heavy with candy and the palate has a sharp sweetness. This familiar yet unique profile is the goal of handpicks and Jovanis and his team have nailed it with these Angel’s Envy Port Finish selections. 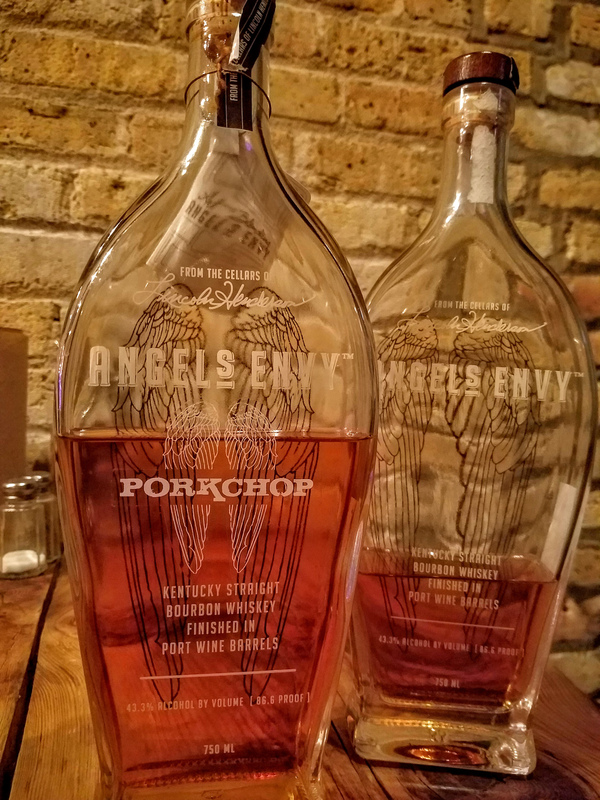 If you are a fan of Angel’s Envy we recommend you get over to one of the seven Porkchop or Chop locations as soon as possible to taste both of these selections. 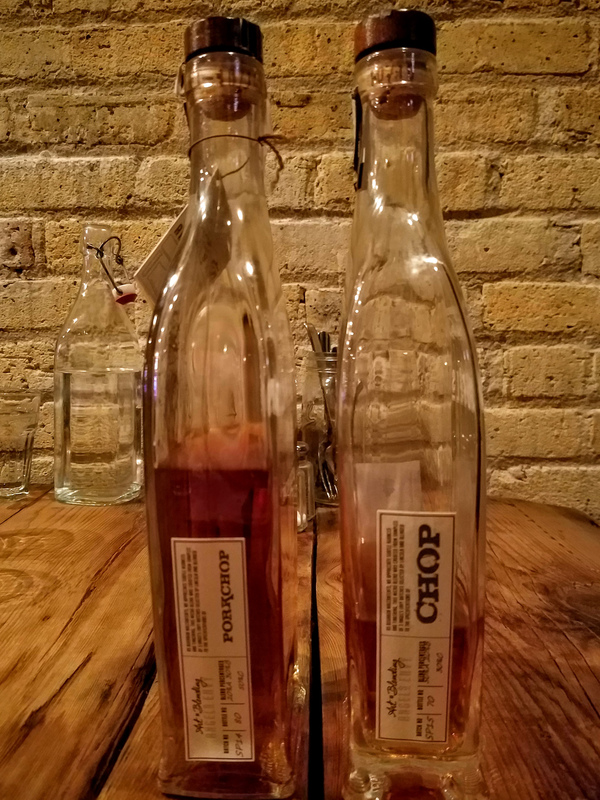 The original 150 bottles of the Porkchop handpick are running dangerously low. When they run out that particular bourbon selection it will be gone forever! Luckily the Chop handpick is relatively new and should be around for a little while. You might as well get a pour of all three, including the original port finish, and compare them yourself. When it comes to the food at Porkchop they say it best. “An urban interpretation of a Southern backwoods experience. An unapologetically unpretentious neighborhood party spot serving gourmet Southern comfort food and BBQ”. Menu items include staples such as pulled pork, beef short ribs, brisket, cornbread, and collard greens. To more unique items like fried ribs and sausage lollipops. 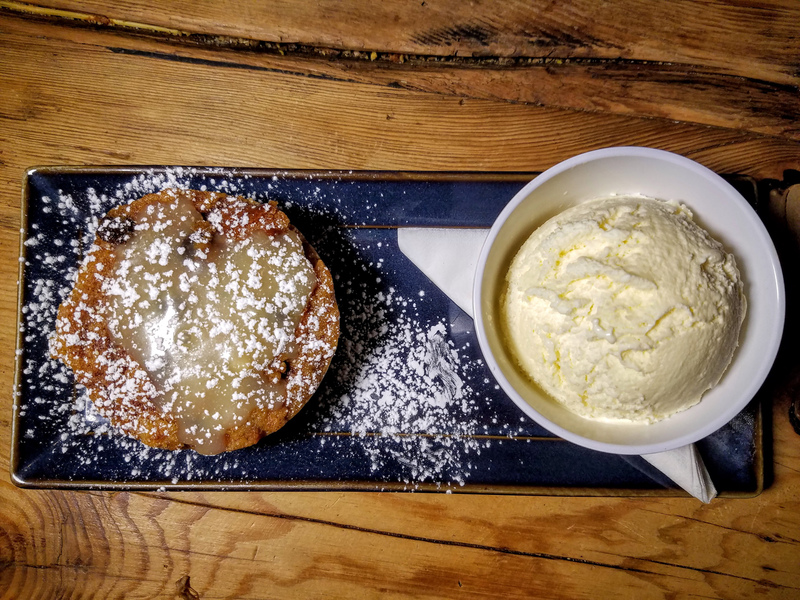 Porkchop serves brunch, lunch, and dinner, including excellent desserts. Jovanis told us that wine has always been his drink of choice, particularly sweeter wines. His standby bourbon used to be a glass of the sweet wheated Maker’s Mark 46 served neat. His current preference for Angel’s Envy port wine cask finish makes even more sense now given it’s smooth and sweet finish. Jovanis says that across wine and spirits an important factor for him is a long finish. He likes a lingering taste and without it, a drink falls short of his expectations. We asked Jovanis what he would pair with his BBQ. He said beer was a default when he was planning the menu, they have 15 on tap. And while doing research for his first restaurant he came across whiskey. At first he thought whiskey might be a tough sell to his women patrons. But after some polling he found that women love whiskey just as much as men. 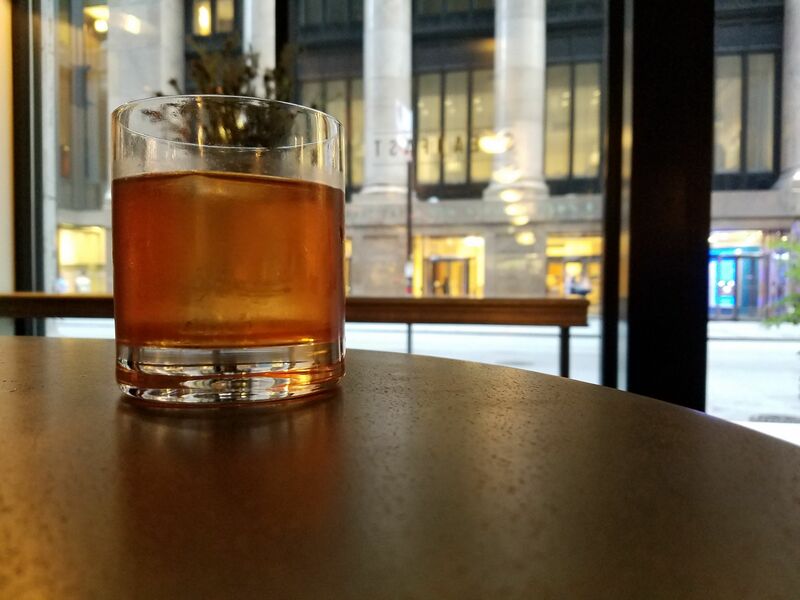 (If you’re a woman in Chicago be sure to check out the Bourbon Women Chicago group.) 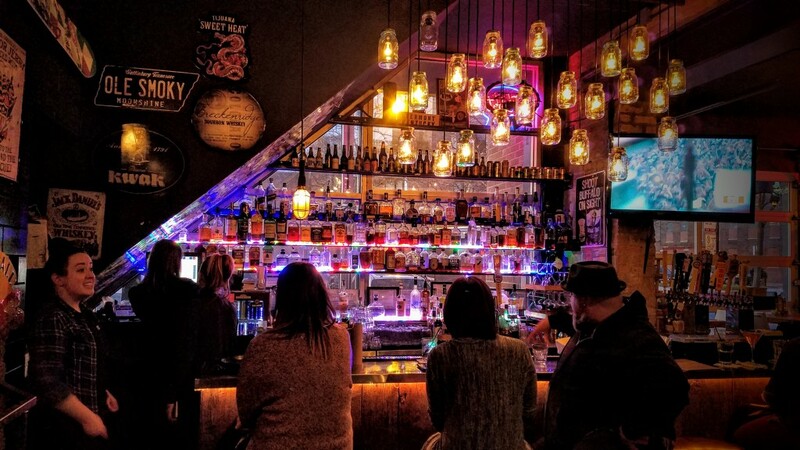 Porkchop hosts Wednesday Women’s Night and pours $1 shots of whiskey. 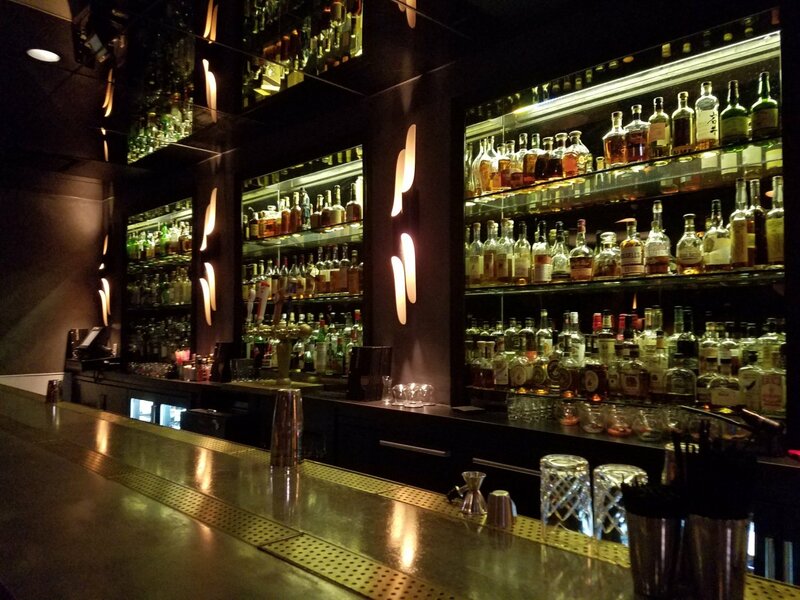 His bartenders know what they’re doing and can always recommend a great whiskey or bourbon based on a drinker’s preference. It’s easy to see that Jovanis is passionate about his restaurants, food, drink, and most importantly his diners. 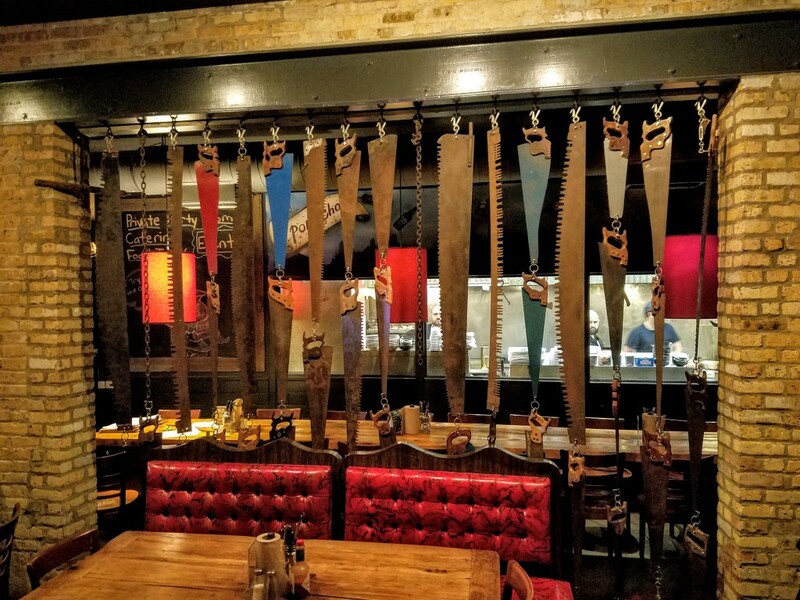 He is personally involved in crafting the menu, selecting the whiskeys, and even driving cross country to salvage wood and antique hand saws which decorate his restaurants. Whether you’re in the mood for chicken and waffles for brunch or a late night pour of whiskey, Porkchop is worth checking out. Thank you to Andrea Foreman PR and Jovanis Bouargoub. Previous post ‘American Bourbon Association’ Lists Chicago Bourbon!